FIFA President Gianni Infantino speaks during his news conference in Rome, Italy, Feb 27, 2019. 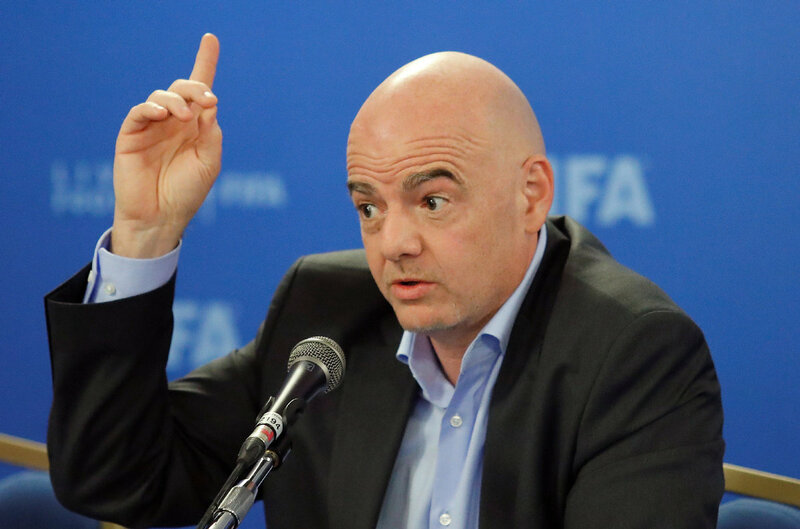 FIFA President Gianni Infantino has hinted that his plan to expand the 2022 World Cup in Qatar from 32 to 48 teams won't be finalized at next month's council in Miami — leaving it for a June deadline instead amid ongoing geopolitical complications. Adding 16 teams would require Qatar to share games around the Gulf region. But Bahrain, Saudi Arabia, the United Arab Emirates and Egypt cut ties with Qatar in 2017 in an ongoing political dispute that prevents flights between Doha and the boycotting countries. Speaking at a FIFA summit in Rome, Infantino said: "It will be very difficult to organize only in Qatar for geographical reasons. ... And the geopolitical situation is complex. ... We need to decide by June this year because qualifying starts in the fall." Qatar won a vote in 2010 to host the World Cup with 32 teams and is only building eight stadiums. A 48-team tournament is already planned for 2026 in the United States, Canada and Mexico, but Infantino wants to fast-track that expansion and add 16 more teams for the first World Cup in the Middle East. Infantino says: "If it's possible I'm happy. If not I'm happy. I'm always optimistic." After Miami, FIFA's next council meeting is scheduled for Paris in June ahead of the Women's World Cup.